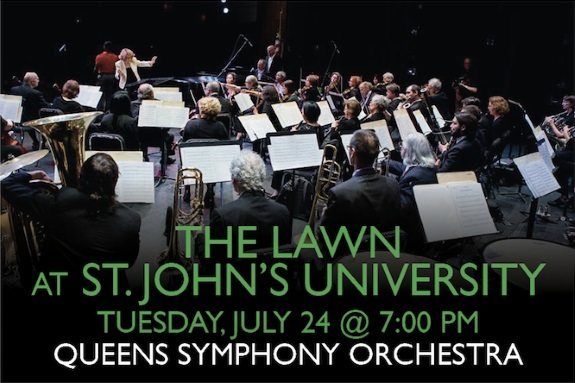 The Queens Symphony Orchestra (QSO) is the borough’s only professional orchestra and the oldest and largest professional arts organization in Queens. Labels: Katz Concert Series: Queens Symphony Orchestra. 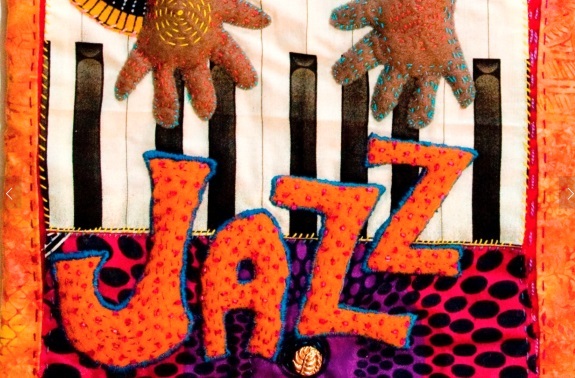 There’s never enough Jazz Music, especially when it’s Live Jazz combined with Live Soul Music. 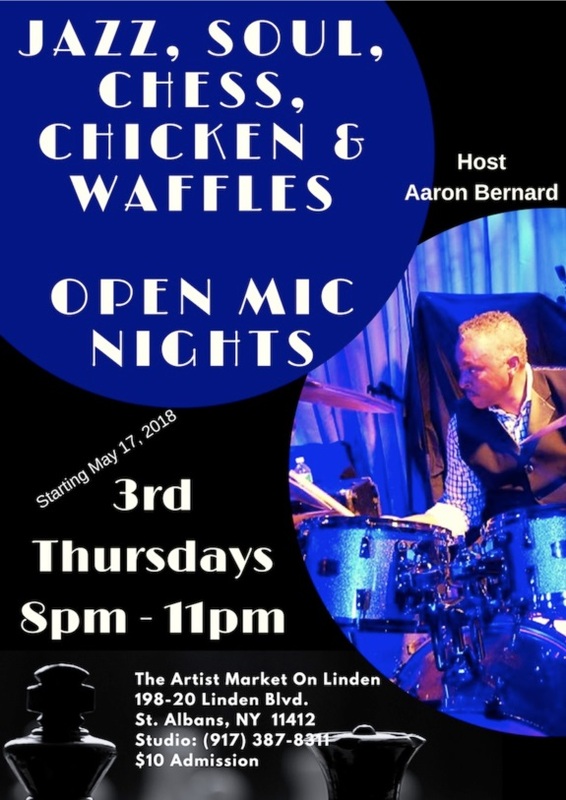 Nestled in the historic home of many Jazz greats, join another Jazz great, Aaron Bernard Brim for an evening of Jazz, Soul, Chess, Chicken & Waffles. Nationwide -- What motivates females of multiple ethnicities to bully, trash-talk, sabotage, and humiliate one another? Labels: Black Psychologist Reveals Truth About Female Rivalries. Washington, DC -- The social work profession requires discipline and compassion in equal measure. 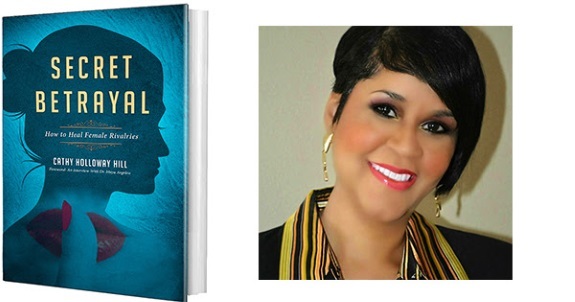 Social workers are called to respond to chaos, trauma, or neglect with the goal of developing and implementing a plan to help remedy unfortunate situations. Labels: Nt'l Assoc. 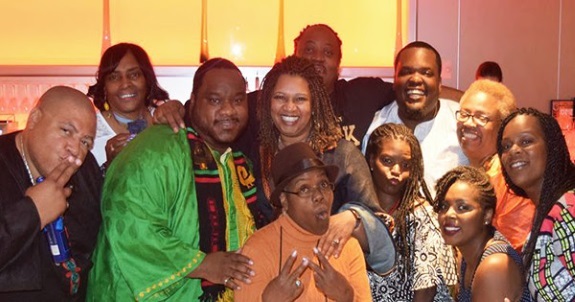 of Black Social Workers Travels to Australia for Annual Conference. Spend some quality time with your friends and family or make new ones while supporting a great cause – Community! 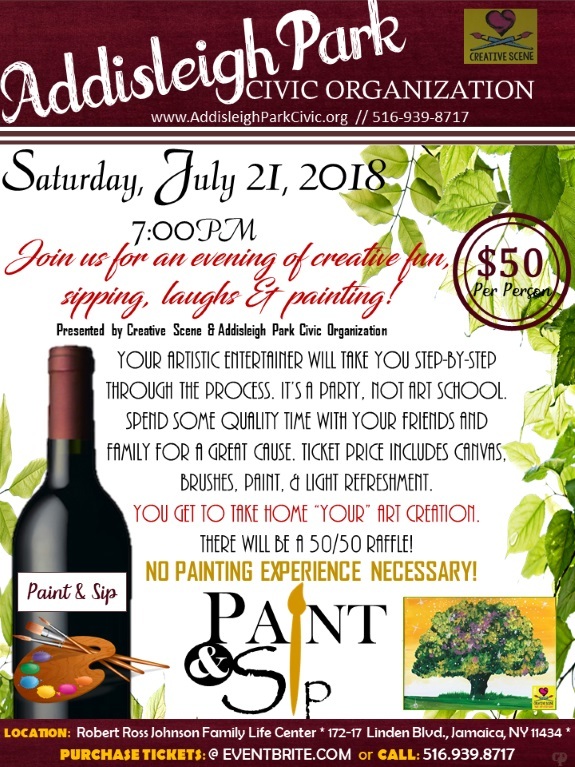 Labels: Addisleigh Park Civic Organization Paint & Sip Party. These Stellar Groups are all on the bill for the 16th Annual St. Albans Jazz and R&B Festival. 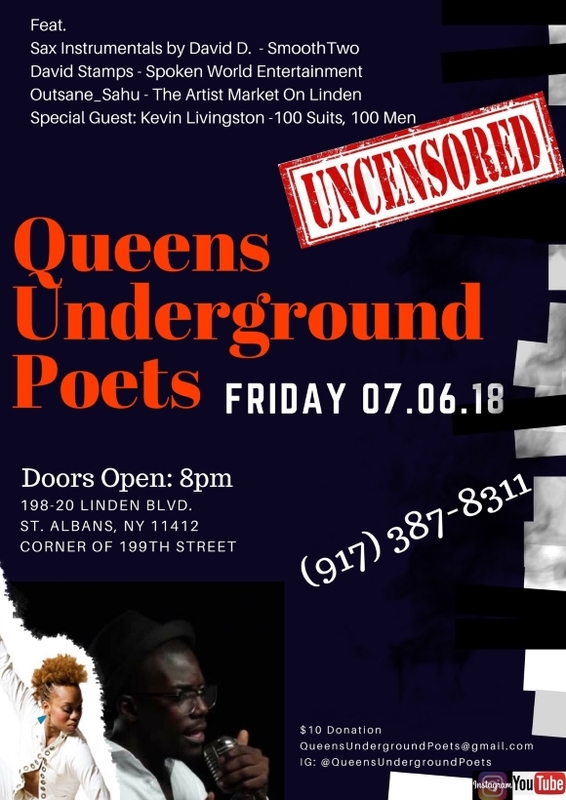 Labels: 16th Annual Saint Albans Jazz and R&B Festival. It’s back! What you ask? The Saint Albans Craft Walk! 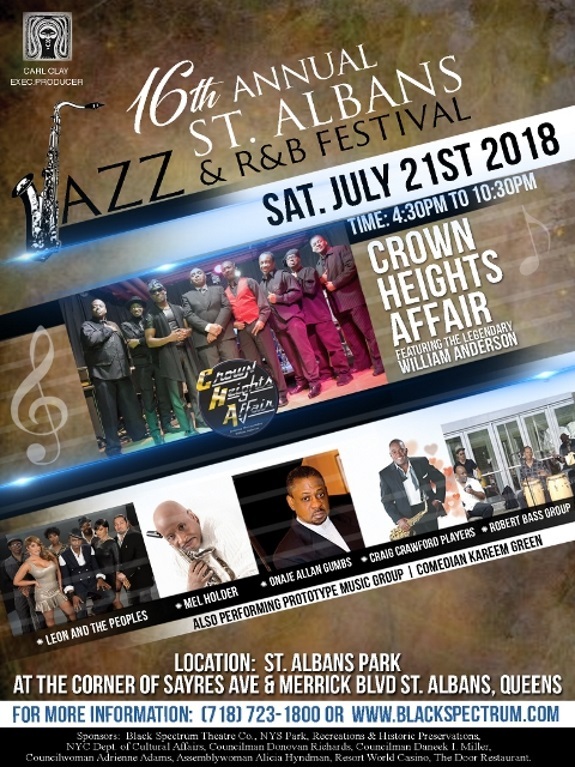 On Saturday, July 21st from 4:30 pm to 10:30 pm, the 16th Annual St. Albans Jazz Festival will be presented in Saint Albans Park in Jamaica, Queens. Five hundred to one hundred jazz lovers are expected to attend this free event. 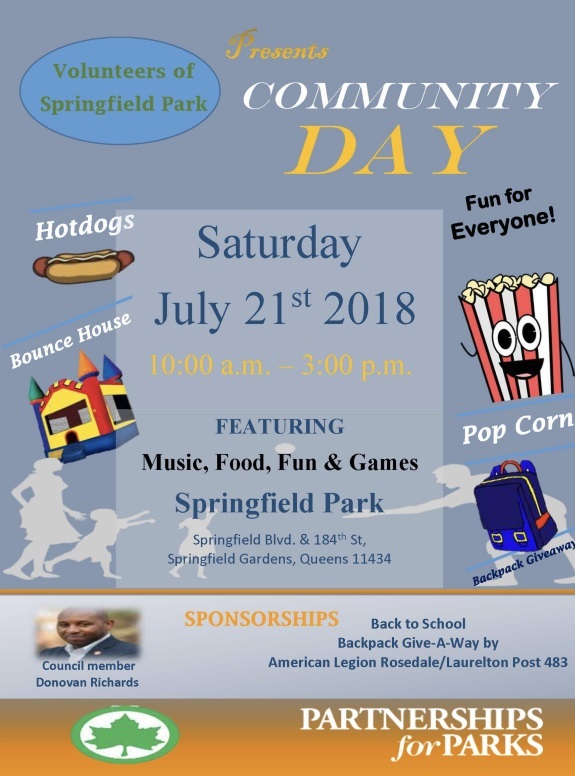 The Volunteers of Springfield Park and New York City Council Member Donovan Richards invite one and all to a community day in Springfield Park. Labels: Volunteers of Springfield Park Community Day. 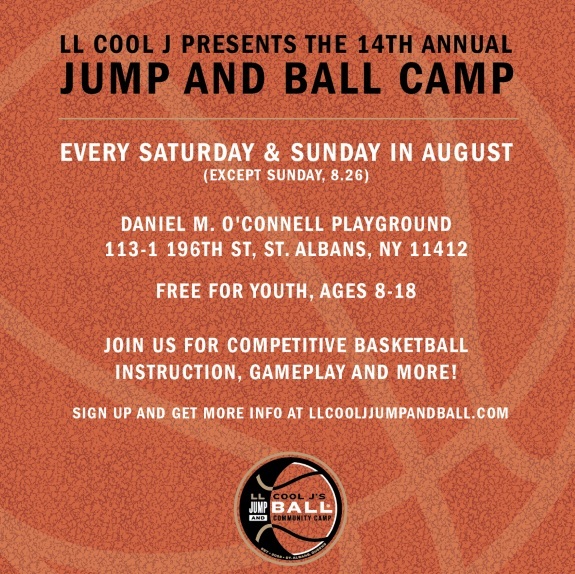 LL Cool J is proud to present the 14th annual Jump & Ball Camp! Join them for competitive basketball instruction, gameplay and more. 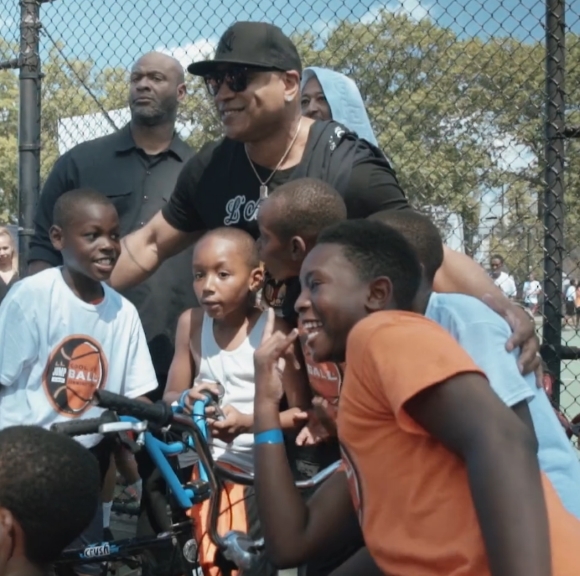 Labels: LL Cool J’s Jump & Ball Camp. 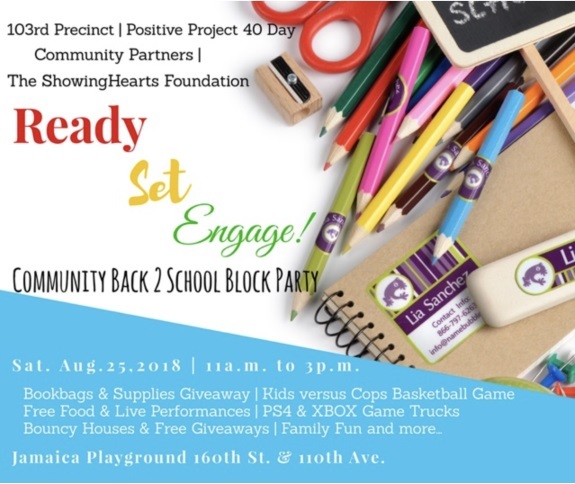 The 103rd Precinct Community Council and the Showing Hearts Foundation are pleased to invite one and all to get ready, get set, engage! Labels: 103rd Precinct Community Back 2 School Block Party. RobotIQ provides a safe playground for middle and high school (G6 – G12) students to learn about Robots, Drones, and AI, in the continually expanding varieties, diversities and related disruptive technologies. 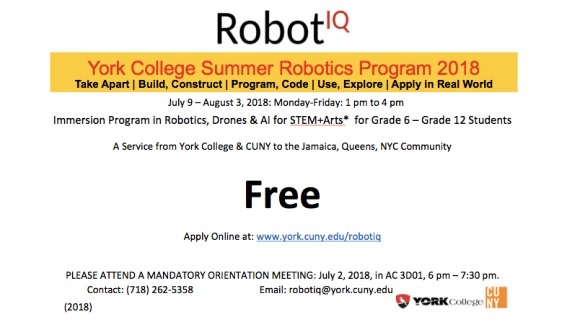 Labels: RobotIQ: York College Summer Robotics Program 2018. 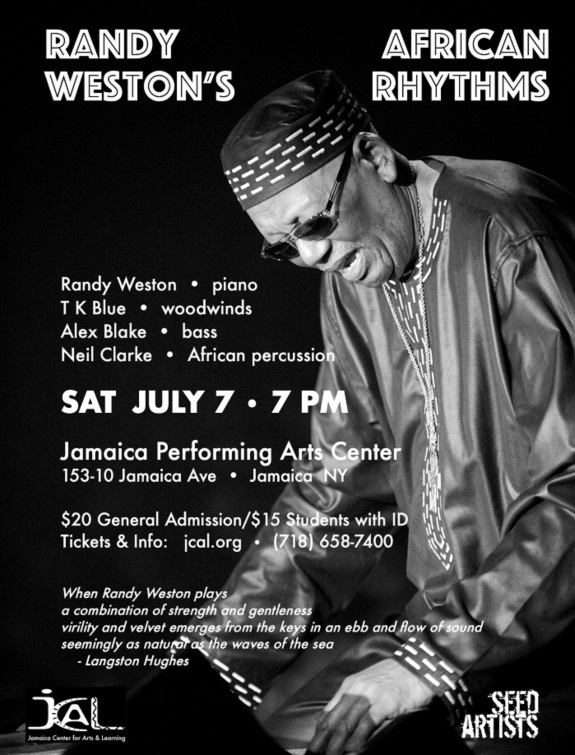 Randy Weston’s African Rhythms features: Randy Weston, piano; T K Blue, woodwinds; Alex Blake, bass; and Neil Clarke, African Percussions. Labels: Randy Weston’s African Rhythms. Nationwide -- TAJJ Cosmetics was founded in 2008 by June Smith and its first product, The Incredible Corn Concealer, was developed from the realization that women all over the world suffer from corns, the unsightly ailment that not only causes pain, but is also unattractive and embarrassing. 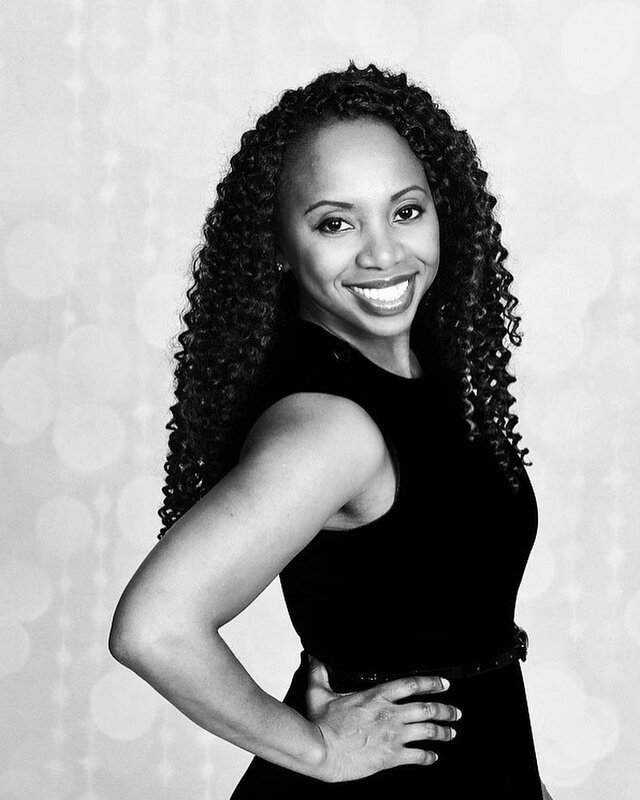 Labels: Black Entrepreneur Invents Incredible Corn Concealer. 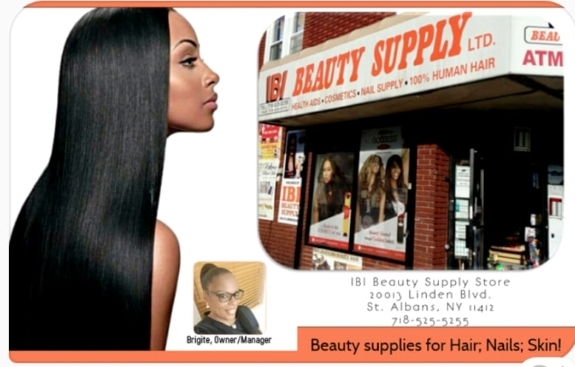 Located on 200 Street and Linden Boulevard, IBI Beauty Supply, is just one of the beauty supply stores located in Southeast Queens. This black owned beauty supply store is merely steps away from residential homes, beauty salons, a barbershop, a laundromat, Golden Krust, Innovations in Creative Arts, and many other commercial businesses. 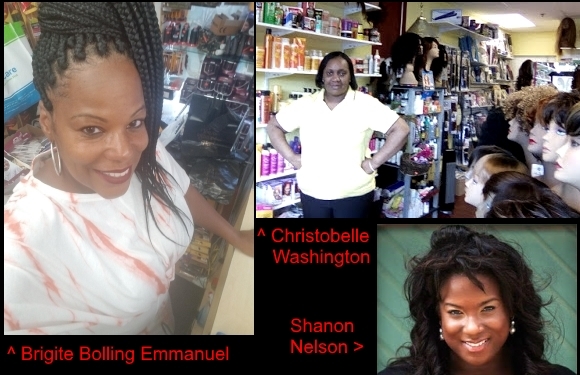 As I was waiting to interview, Brigite Bolling Emmanuel, about the success of her business, several customers entered the store in search of various items such as; face creams, hair extensions and hair wigs. Despite having an assistant in the store, Ms. Emmanuel engaged her customers, maintained the cash registry, and displayed excellent customer service. Ms. Emmanuel grew up in the neighborhood and is an Andrew Jackson, High School alumni. After working as an IT Technician for 20 years, Ms. Emmanuel and her husband bought the building, which is now IBI Beauty Supply in 2005. Since establishing ownership of the building, tenants have moved out, the building was renovated and in 2010, IBI Beauty Supply was born. Ms. Emmanuel calls herself fortunate, because while other beauty supply stores has opened and closed, eight years later, IBI is still going strong. Since opening her store, Ms. Emmanuel identified obtaining contracts from hair suppliers as a challenge. Since most of the hair suppliers are Asians, they are more likely to support other Chinese or Korean owned beauty supply stores, which have been popping up in predominantly black neighborhoods. Nevertheless, Ms. Emmanuel persisted in solidifying her hair contracts. Ms. Emmanuel plans to keep the store open for the next 10 years and smiled as she said, “there’s nothing better than working for yourself.” Ms. Emmanuel does not have an online presence but markets the business in the neighborhood newspapers, flyers, T-shirts, and promotions. Ms. Emmanuel has also prepared gift bags for events such as autism walks and donated to Bowlin 4 Colon Cancer. For anyone looking to open a beauty supply store, Ms. Emmanuel recommends owning the building as she had seen at least four black owned beauty supply stores become extinct due to steep rents. 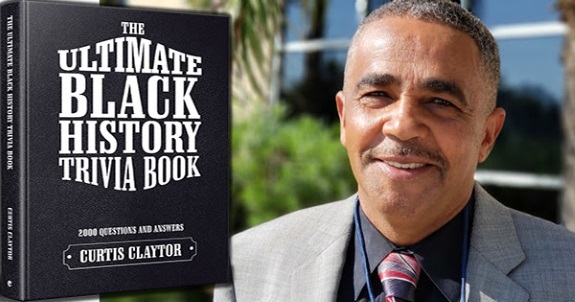 Nationwide -- In a world where everything is digital and social networking is the norm, Pam Perry saw a need to produce an actual printed publication that highlights African American speakers and provide "live" conference promotion onsite. For twelve months, Speakers Magazine has produced monthly issues and created promotional strategies for conferences nationwide. 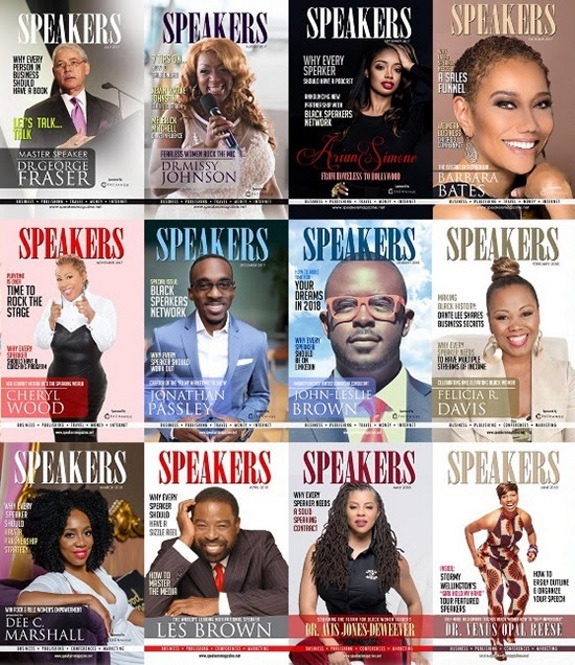 Labels: Magazine Dedicated to Black Speakers Celebrates 1 Year Anniversary.